"Data" seems to such a buzz word lately in the education world. How well are students achieving? How much they have grown from year to year? And how does this apply to the music room? I first really delved into data when I first wrote my SLO, or student learning objective, a few years ago. I had never tracked data in such a specific way, and I admit, it was a bit scary! Since then, I've grown to really appreciate the information data can give me, and how it can improve my teaching! 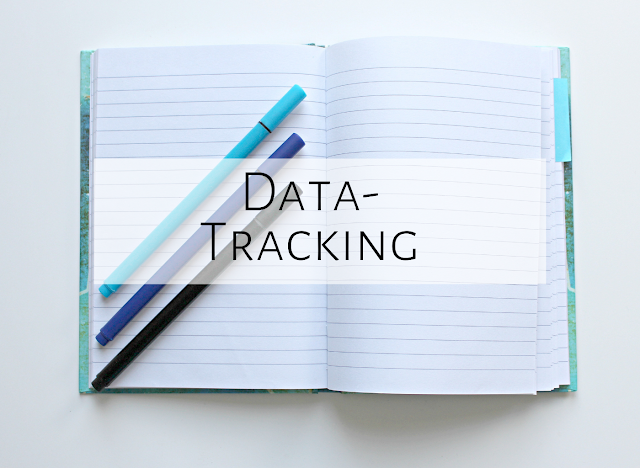 Data-tracking doesn't mean you have to make your students take a pencil and paper test. Have them play a game to collect the information you need! Whether you play a solo singing game like "Come back home my little chicks" (notated in this blog post) or play a rhythm identification game like this freebie, you can collect data in a fun, engaging way...and kids will have no idea that's what you're doing! Manipulatives, like games, can be so much fun, AND a great way to collect data! 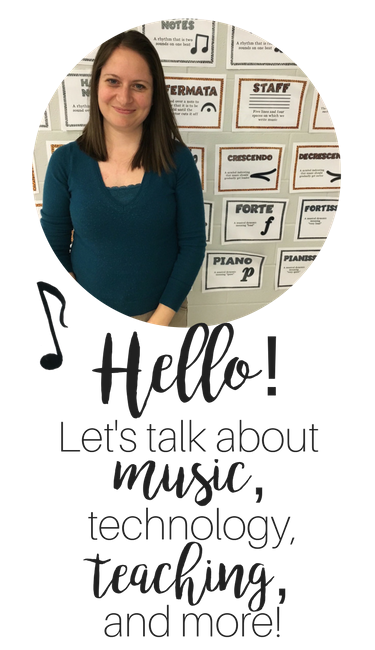 Whether you are using popsicle stick rhythm manipulatives to see how well students can dictate patterns or songs, or solfa manipulatives to see how well students can hear melodic patterns, students can show you what they know in a very hands-on way! These can be done in a whole group or during centers. Whether you are having students play "Hot Cross Buns" on the recorder or play a steady beat bourdon on Orff instruments, you can gather a lot of information by observing their performance in music class. Again, they are not sitting with a paper and pencil, but are showing what they can do through performing! As much as I've said that assessments don't need to be paper and pencil, sometimes that is the best way to collect the data you need. I find paper and pencil works well for anything involving music notation, as we want students to be able not only to identify correct music notation, but be able to demonstrate it themselves (such as writing rhythm patterns, dictating melodic patterns on the staff, etc.). In my SLO blog post, I wrote about how I give ta and ti-ti pre-tests to students who have never seen ta and ti-ti. It seems really silly, for sure, BUT they have a sense of accomplishment when they are able to do so much better on the same assessment at the end of the year! It is also super interesting to see how students write patterns before they know ta and ti-ti, whether it be with lines, with hearts, or with numbers! Now what do you do with the information? One of my favorite ways to address gaps in learning is to simply discuss the most common mistakes as a class. 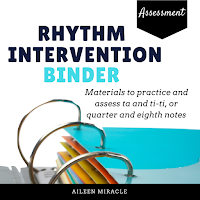 For example, if in a formative or summative assessment, a lot of students identified the pattern mi-re-do as sol-mi-do, you could talk about how they both go from high to low, but with the first pattern, the notes are a step away from each other instead of a skip. Students hear from you that their mistakes are understandable, but here is why they are incorrect. This can be very helpful and even empowering! 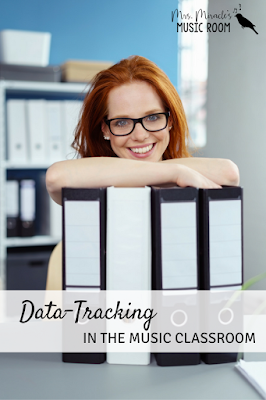 Sign up for my list to receive my data-tracking binder! Now that I have a data-tracking binder, I use the binder to help organize students into heterogenous groups for centers. I will be trying to have a variety of learners in each group and then can pull students who are struggling to work with them one-on-one (like detailed in this blog post). This has been SO helpful in figuring out where each student's breakdown of understanding happens! I've seen some students go from developing to advanced just from me working with them one time. Other students, of course, still need quite a bit of individual help and still may struggle, but by sitting down with them, you can not only figure out what is confusing to them, but you can build a better relationship with each student! What has worked for you with tracking data in the music classroom? Feel free to comment below, and happy teaching! Oh my! I was looking on your site for a post on data earlier this morning! This is such great timing as I'm trying to get a handle on the idea of keeping a data binder for 500 kids! How do you handle it all? Are your pages organized by class or concept? How often do you write in this during class (anecdotal notes, etc.) I'm concerned about trying to track everything and still teach the kids! Hi there! I have one melodic and rhythmic page for each class, and only write in it a few times a year (after the pre-test, mid-check, and post-test.) It's really doable...I have 700 students, so I understand! I'm using it to determine groups, intervention, etc. :) Glad the post is helpful! I'm so sorry, Shannon! If you send me an email at Aileen.miracle@yahoo.com, I'll send it your way. Data collection in music can seem like a hassle. I know that many people I have talked to seem forced into a box that "doesn't fit" music. I appreciate that you explained that data collection doesn't need to be hard numbers with written assessments; you can collect data just by hearing students singing alone and assessing that. Any way of hearing students is a way to assess their learning, and I appreciate you gathering all of these strategies. Hey there! 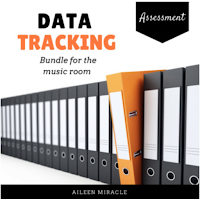 I just last week downloaded your data-tracking in the music room (k-2) sets. I'm excited to start using them next school year! I was curious, do you have any specific songs/activities you do for your assessments? For example, when you're doing your pretest, do you always use a specific song? I realize this is fluid and adjustable to what fits us as the educator best, but as I'm new to all of this still, I'm willing to get all the help I can! :) Thanks so much!! Do you use any specific songs or activities that you go to time after time for you assessing? For instance, what do you have your students sing/perform for you as their pretest? I realize it's meant to be fluid but I'm after all the advice I can get! Thanks so much! Hi Tara! Sorry, just now seeing this! For solo singing, I listen during greetings or solo singing games like "Come back home my little chicks." Hope that helps! I am already on the email list- could I still get the free data binder? The website won't let me sign up a second time. Any way you could send via email? So sorry, Amy! If you send me an email at aileen.miracle@yahoo.com, I'll make sure you get it!